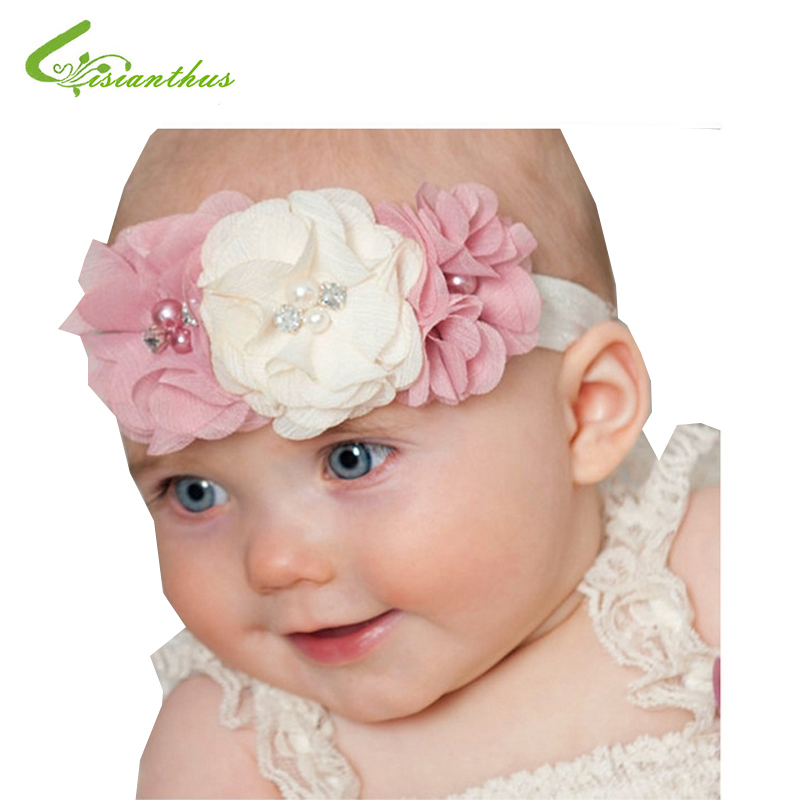 A new trend in fashion this year is flower headbands. You are beginning to see them everywhere from lesser red carpet events in Hollywood to television and on the streets of almost every town in America. It’s not that difficult to learn how to make flower headbands and it makes the perfect feminine floral accessory as well as the perfect gift for those wanting to give something really special to a very special young lady. Fast, easy and the project just requires basic skills and a little imagination. NOTE: Make sure that the elastic will be completely hidden by the size of the flowers. Measure the distance around the head with the tape measure making it snug but not tight. Cut the elastic the length of the measurement. Put a dot of glue on one end of the elastic then form a loop, overlap the ends and press the overlapped section together tightly for about 10 seconds. NOTE: Be sure the elastic isn’t twisted when you connect the ends. Use the needle and thread to secure the glued ends of the elastic by applying a few stitches then tying off the thread securely. Pull the fake flowers and leaves off the stem. Turn each flower over and cut off the smaller holder so the flowers will lay flat. You can also take the layers of the flowers apart then put them back together when you add them to the elastic band. Beginning with the overlapped section of the headband (center front), glue the flowers to the elastic one at a time holding them firmly in place for 10 seconds prior to adding the next one. If you took the flowers apart, put a dot a glue in-between each layer gluing the center last. Allow each layer 10 seconds to dry before beginning the next layer and/or next flower. Add green leaves occasionally for contrast using the same method. Continue working until you have completed 1/4 of the elastic band. Beginning back at the center front, use the same method in the other direction until a total of 1/2 the headband has been covered. Allow the headband to dry completely prior to allowing it to be put on. The section of the headband without flowers will go under the hair. NOTE: If you find that the flowers are not held securely enough with only glue, use the needle and thread to tack each flower in place. This is a perfect vintage look that’s an ideal accessory for a wedding or other special occasion. With the glue gun, put a dot of glue in the center of each flower and attach a rhinestone. With the needle and thread, sew 3 pearls to the front of each flower applique being sure to space them out evenly around the rhinestones. With the appliques upside down, arrange the flowers so they slightly overlap beginning with 1 flower, zigzagging the appliques in the center so they’re wider and ending with 1 applique. Once satisfied with the look, stitch the flowers together and end each set of stitches with a dot of glue so they remain secured. When dry, place the applique on top of the pellon and mark it. Cut inside the line so it’s slightly smaller than the applique. Double-check to make sure that the pellon won’t show once the applique has been secured on top and trim any sections that may show. Apply glue to the pellon then place the applique, right side up, onto the glue. Press firmly in place for 10 – 15 seconds then allow to dry completely. Glue the applique to the headband running a bead of glue down one side of the headband beginning at the center (the applique will be offset to one side). Place the applique on top of the glue and hold it in place 10-15 seconds. With the needle and thread, whip stitch the applique to the headband making sure your stitches don’t show on the front of the flowers but going through enough of the flowers to help secure the pellon in place. Also stitch through the fabric of the plastic headband rather than wrapping the thread around the headband or the applique may slip. 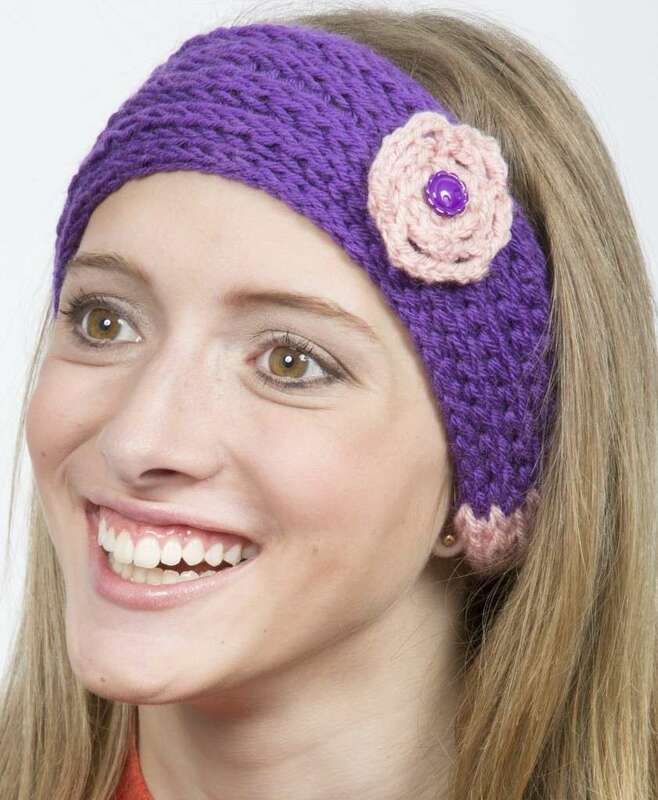 This is the perfect ear warmer headband that has a beautiful feminine touch. The directions are for adults but it can easily be adjusted for smaller people. Chain 64 and join the ends with a slip stitch making sure the chain is not twisted. Row 1 – Chain 1. Single crochet in each chain around the circle joining with a slip stitch at the end. Row 2 – Chain 2. Double crochet in each single crochet around the circle joining the loop with a slip stitch at the end. Row 3 – 6 – Repeat the previous row 4 more times. Row 7 – Chain 1. Single crochet in each double crochet and join with a slip stitch at the end. Fasten off the thread, clip and weave the tail into the stitches. Row 1 – Chain 5 then single crochet and chain 3 five more times joining the 1st chain with the last using a slip stitch. Row 2 – Chain 1 then single crochet, 5 double crochets and single crochet in each of the chain 3 spaces around the circle. Join the 1st chain to the last stitch with a slip stitch. Row 3 – Chain 1 then, working behind the petals made in the previous row, single crochet in each of the next chain 3 spaces in Row 1 and chain 5. Join the 1st chain with the last stitch using a slip stitch. Row 4 – Chain 1 then single crochet in each chain 5 space around the circle. Join the 1st chain to the last stitch with a slip stitch. Row 5 – Chain 1 then, working behind the petal in Row 4, single crochet in the next chain 3 spaces of round 1. Chain 7 then join the 1st chain to the last stitch using a slip stitch. Row 6 – Chain 1 then single crochet, double crochet 13 times, and single crochet in each chain 7 space around. Join the first chain with the last stitch using a slip stitch. Row 7 – Chain 1 then, working behind Row 6 petals, single crochet in the next chain 3 of Row 1 and chain 9 more times all the way around the flower. Join the 1st chain to the last stitch using a slip stitch. Row 8 – Chain 1 then single crochet, double crochet 17 times and single crochet in each chain 9 space around the circle. Join the last stitch to the first chain with a slip stitch. Fasten the yarn off and cut leaving a 4″-6″ tail. Thread the beginning and ending tails of the flower through the yarn needle. Fold the headband in half and push the tails of the flower through the top half of the headband so the flower is slightly off center. Tie the tails off on the back of the headband and weave the ends into the stitches. 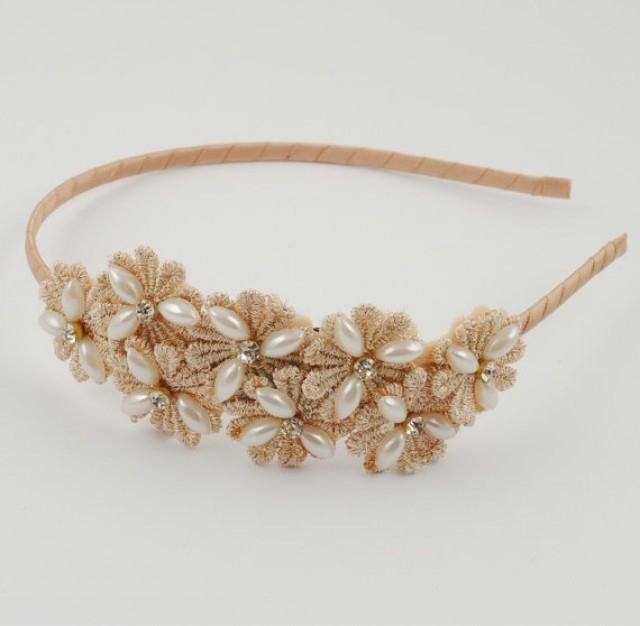 With a needle and thread, attach the button or pearl to the center of the flower going all the way through all thicknesses to the back of the headband. Tie off the thread, trim and weave the ends into the stitches. NOTE: You can trade out colors of yarn as you work so you have a striped headband as well as make a 2-tone flower. Just make each row of the flower a different color. This pattern is an ear warmer for young adults that is 20″ long and 3-1/2″ wide. You can adjust it for children by using smaller knitting needles and fewer cast-on stitches. A different flower style was selected for this project. Rows 1-6 – Use a knit stitch across increasing every other row. You should have 12 stitches on your needles when done. Rows 7-38 – Work in a ribbed stitch (1 row knit and 1 row pearl). Rows 39-45 – Use a stockinet stitch decreasing every other row until you only have 4 stitches left. Bind off and tuck the tails into the stitches. Thread the yarn from your start point onto a yarn needle and sew the two ends of the headband together making a loop. Make sure it’s not twisted before securing. Tie off the yarn and weave the tail through the stitches. NOTE: The narrow section where you tied off the yarn is the back. Row 1 – Knit across. Knit 1 and bind off 5 stitches leaving the last stitch on the right needle. Repeat all the way across. You should have 16 stitches on the needle when done. Cut the yarn off leaving an 8″ tail. Thread the tail through a yarn needle and run it through the base of all the stitches. Pull the yarn tightly and tie off the end making a circle. Do not cut the tail off because you’ll use it later. Make sure the petals all face the same direction. You may have to push some through the center hole to get them all on the same side and to get the flower to lay flat. 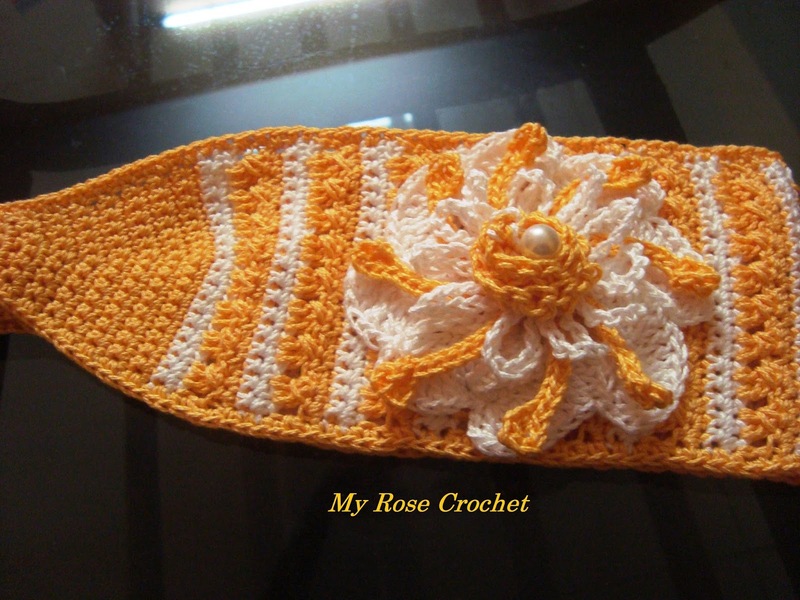 With the thread and needle, attach the button to the center of the flower then run the thread through the headband set just off of center. Secure the flower at the back of the headband with a couple of whip stitches making sure to go through all thicknesses but not allowing the stitches to show from the front. Tie off the thread, trim and weave the ends through the stitching. NOTE: By making multiple flower petals in various sizes then stacking them prior to attaching the center button and the headband, you’ll get a fuller look. 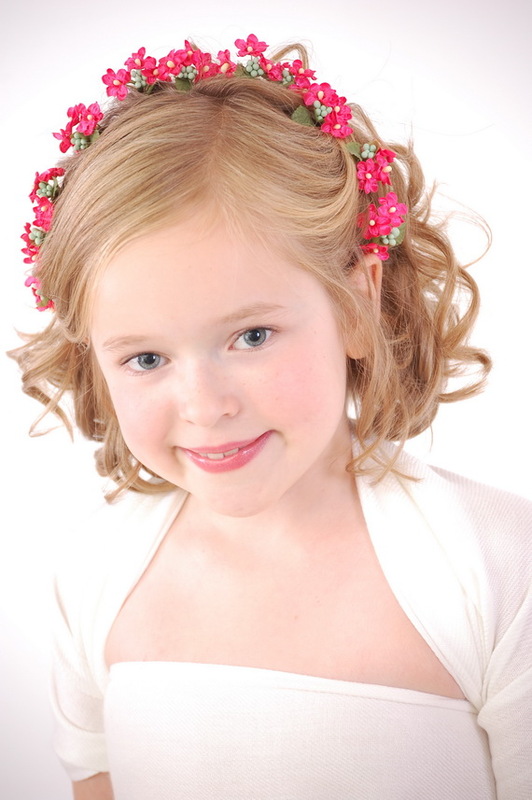 The perfect adornment for your little one’s hair for that special occasion or just because she loves it. Measure the baby’s head or if not available you can use one of the charts on the internet. Cut the elastic to size allowing enough extra for an overlap. Use the needle and thread to sew the two ends of the elastic together overlapping the ends to secure and taking several stitches. Make sure the headband doesn’t get twisted prior to securing it. Cut out 1″ wide strips of chiffon in the two colors. You should have 2 long pieces in one color and 1 long piece in the accenting color that are about 20″ long. They can be trimmed if too long. Cut two 1/2″ wide strips in one color and one 1/2″ wide strip in the other color. Fold the long 1″ strip in half and, with the needle and thread, weave a stitch in and out of the base, pull it tight to gather and roll it up. As you roll the chiffon up, put a dot of glue along of the bottom every once in awhile to help secure it. Make sure the strip remains gathered, whip stitch across the bottom and tie a knot but don’t cut the thread off. You have just made the “bud” section of the flower. With the 1/2″ wide piece of the same color, cut strips 1-1/2″ long. You should end up with about 20 short strips. Fold the ends at an angle and put a dot of glue where the ends overlap. On the bottom of the “bud”, sew each petal in place overlapping them slightly all the way around the bud (You may not need on the pieces you’ve prepared. The look and fullness of the final product is completely up to you). You have just finished the first flower. Do the same with the other two sets, one in each color so you end up with 2 flowers in one color and 1 in the other. Lay out the flowers face down in the arrangement you want to end up with and cut two pieces of felt backing that will cover the bottom of all three flowers. When laid across the back, the backing should not show from the front. You’ll end up with 1 piece of backing on each side of the headband. Hot glue the flowers to the upper piece felt. Place the headband so the seam is under the center of the flower backing and glue it in place. You’ll secure it better in a minute. Place the 2nd piece of backing on the underside of the headband, line it up and glue it to the first backing making sure all edges are sealed. From the front embellish the flowers as desired. A pearl bead can be added to the center of each flower by sewing them in place with the needle and thread going through all thicknesses and tying it off on the back. Rhinestones can be glued in place. You can even add a little glitter. NOTE: You can also purchase the shabby chic flowers already made then dress them up however you want. One of the newest activities for DIYers throughout the world is to learn how to make flower headbands. Whether you have many craft skills or only a few, it has never been easier to stay right on trend. Additionally, these personalized hair accessories are cute, comfortable and, best of all, cheap to make. In fact, you can often successfully complete one with scraps you have laying around the house. The only limitation is your imagination.